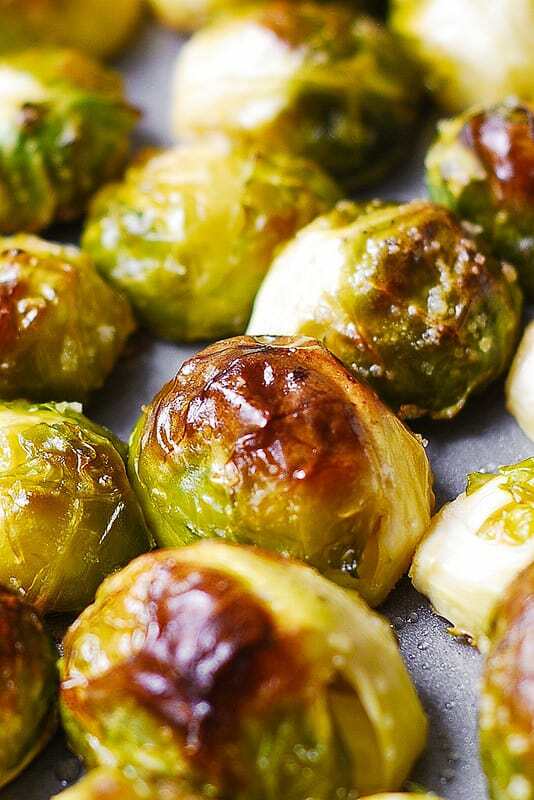 Asiago Roasted Brussels Sprouts – crunchy, delicious little bites covered in melted Asiago cheese goodness. 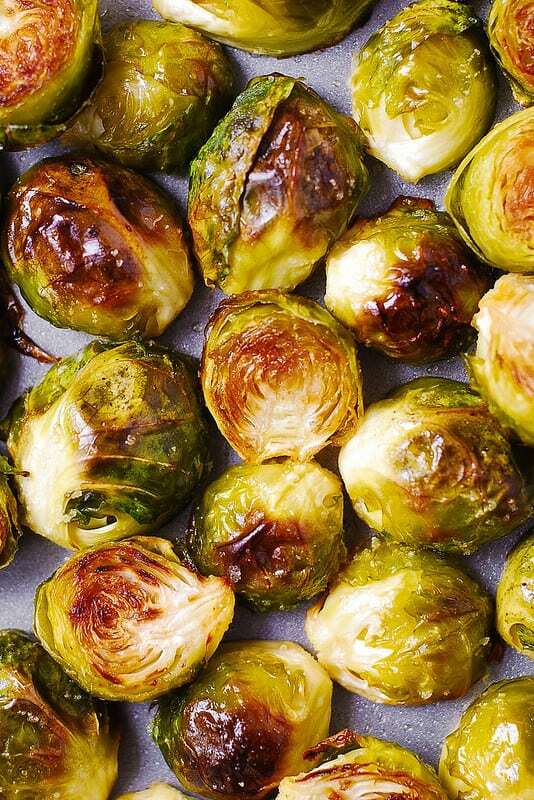 It’s a delicious way to cook brussels sprouts. Makes a perfect holiday side dish for Thanksgiving, Christmas, or New Year’s Eve. 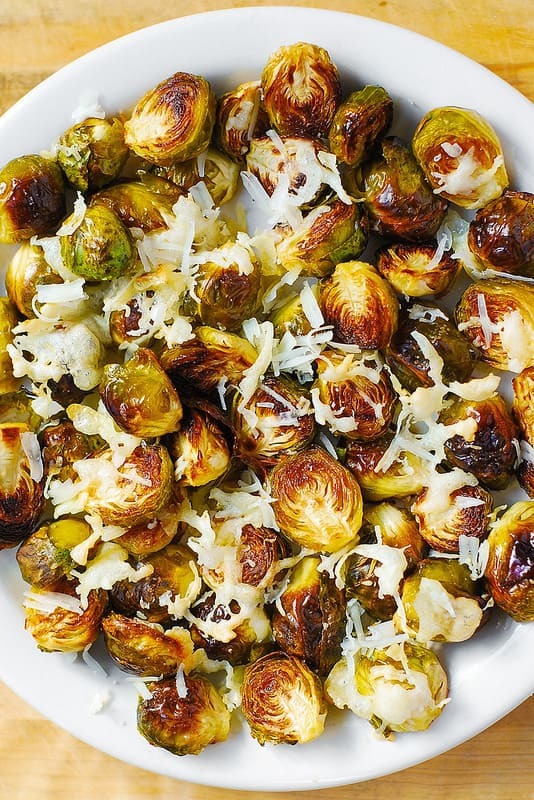 Asiago cheese is so flavorful – a perfect complement to normally bland Brussels Sprouts. You’ll love this recipe! It’s a great side dish in the Fall/Winter and would look great on your Thanksgiving table! 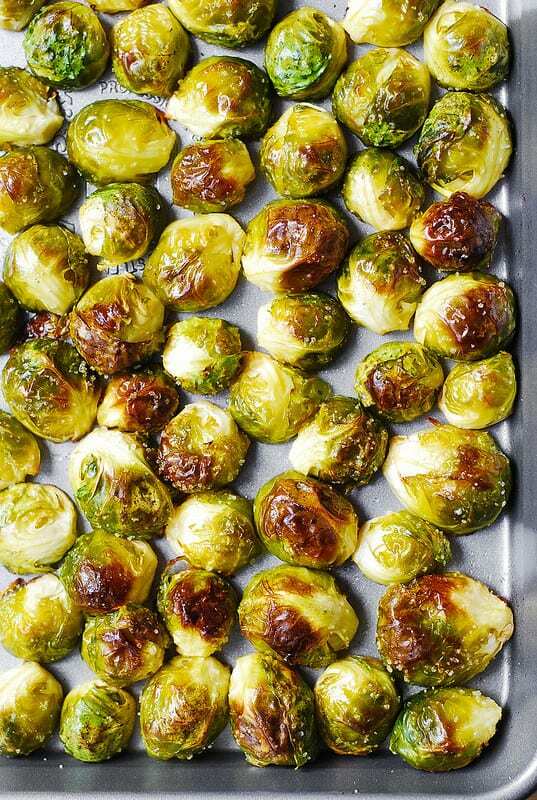 To me, these Brussels sprouts are so addictive. First, you roast them in olive oil with a good amount of salt and black pepper for about 20 minutes (without cheese yet) in the preheated oven at 400 F. That makes them tender and crunchy at the same time. I could not stop eating them, which is great since they are so healthy. 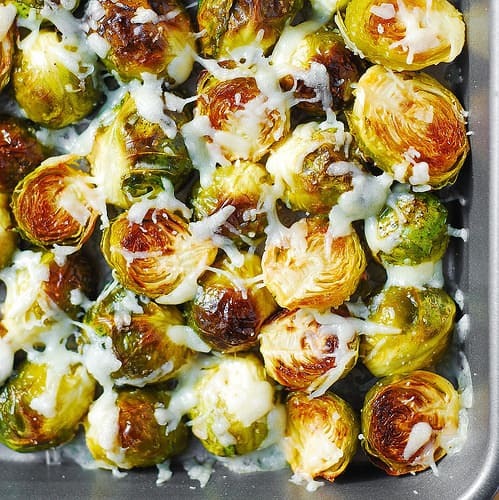 Asiago Roasted Brussels Sprouts - crunchy, delicious little bites covered in melted Asiago cheese goodness. 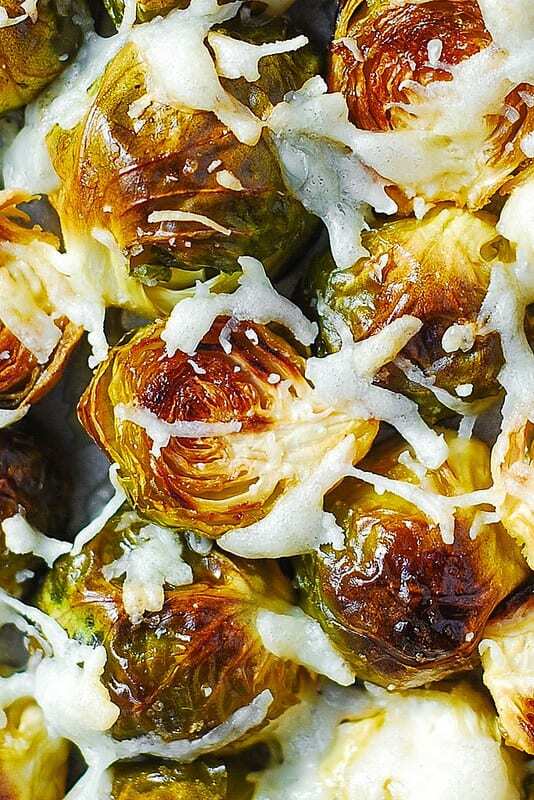 It's a delicious way to cook brussels sprouts. Makes a perfect holiday side dish for Thanksgiving, Christmas, or New Year's Eve. Preheat oven to 400 F. Prepare a rimmed baking sheet (line it with aluminum foil, if you like). Make sure Brussels sprouts have trimmed ends and yellow leaves are removed. Then, slice all Brussels sprouts in half. In a medium bowl, combine halved Brussels sprouts, 3 tablespoons of olive oil, salt (to taste, at least 1/4 teaspoon), black pepper, and toss to combine. Place onto a baking sheet, cut side down, and roast in the oven at 400 F for about 20 minutes. 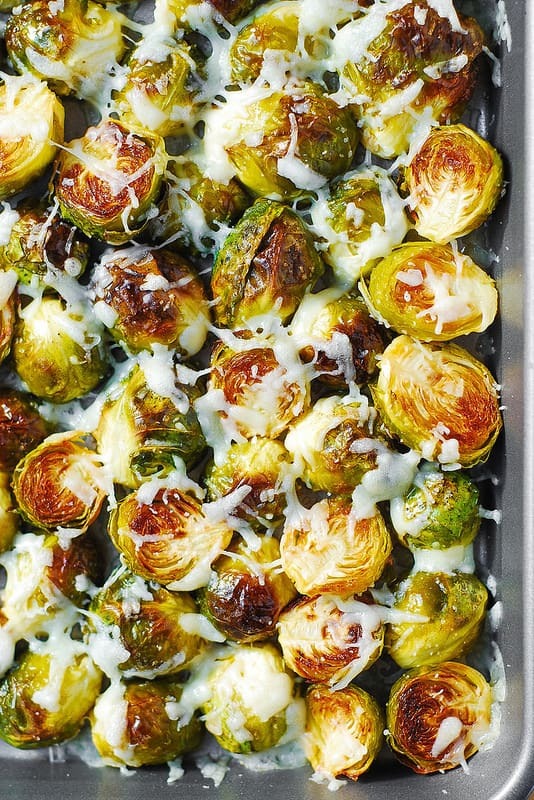 Remove from the oven, turn them over, sprinkle with shredded Asiago cheese, and continue baking for 10 more minutes until cheese melts, and the Brussels sprouts are nicely browned and crunchy. Brussel sprouts are one of my favorite veggie dishes. This is such a simple recipe but the flavor is all there! I also like to mix honey in roasted brussel sprouts.